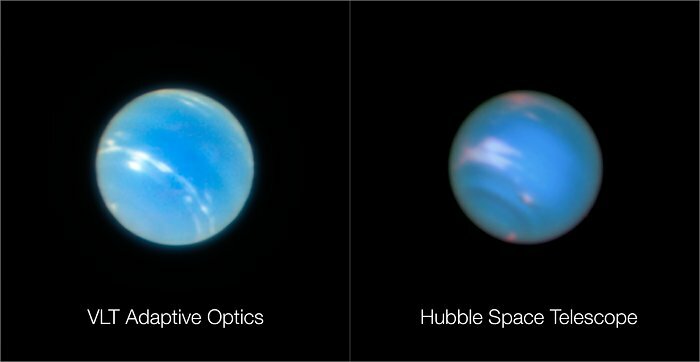 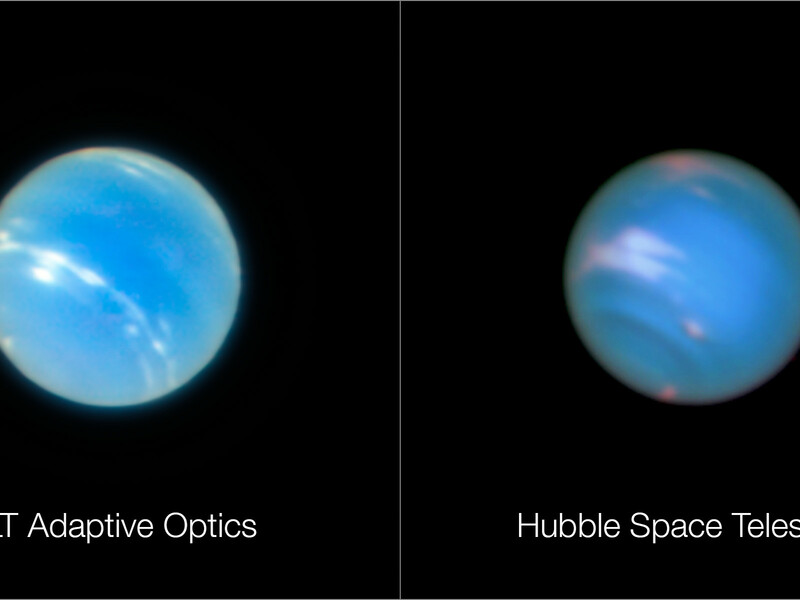 The image of the planet Neptune on the left was obtained during the testing of the Narrow-Field adaptive optics mode of the MUSE instrument on ESO’s Very Large Telescope. 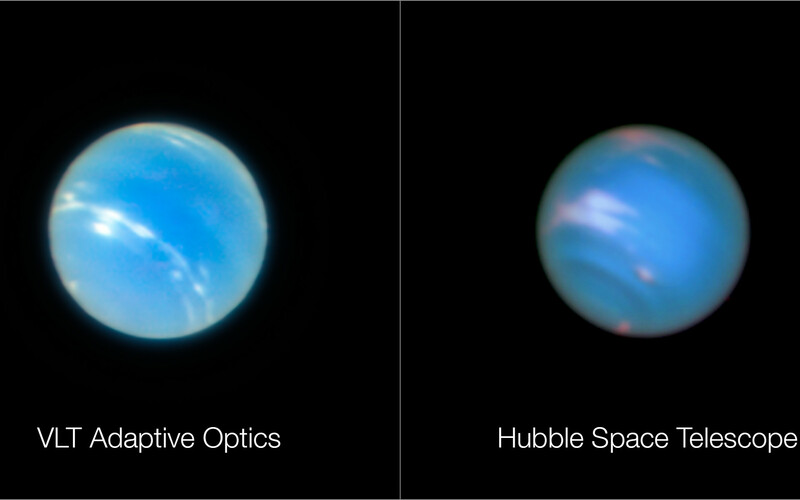 The image on the right is a comparable image from the NASA/ESA Hubble Space Telescope. 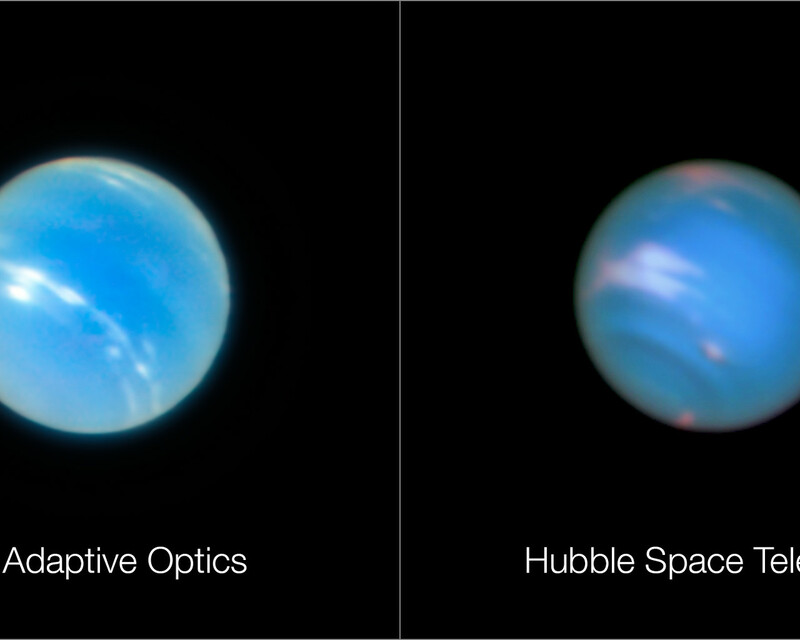 Note that the two images were not taken at the same time so do not show identical surface features.